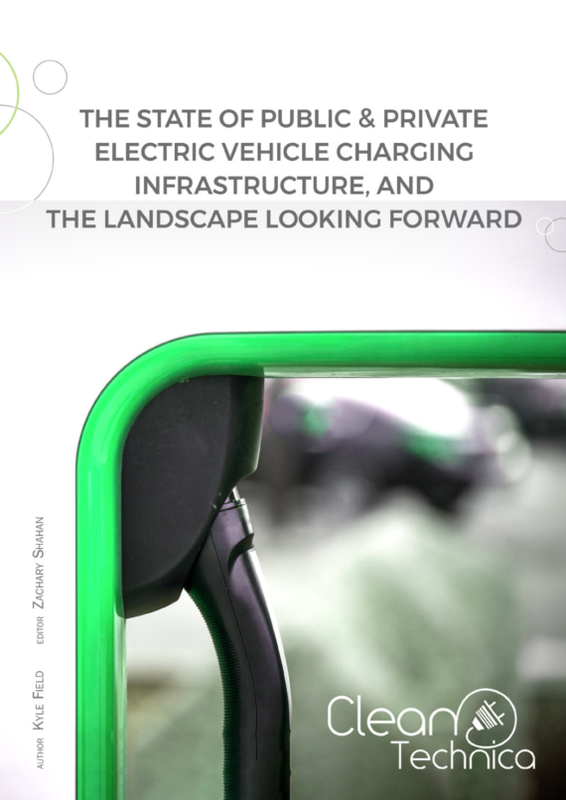 The transition from internal combustion engine vehicles to plug-in electric vehicles usually prompts an initial reaction that we need to replace gas station pumps one-for-one with public plug-in vehicle charging connectors. The reality of the situation is that, if 80% of plug-in vehicle charging happens at home, that’s just not true. This changes much of what we think we know about refueling our vehicles. It puts the power back into the hands of drivers. Looking beyond trips that are possible from home electric vehicle service equipment (EVSE) — such as long commutes, trips to see family, a trip to attend a conference in Las Vegas, or long-distance road trips to challenge the road and have an adventure — it is clear that even with the vast majority of travel being covered with residential plug-in vehicle chargers, there will continue to be a need for public charging stations. 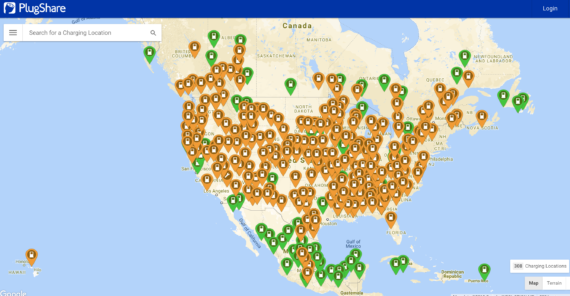 Looking at a map of public EVSE in most regions of the United States, it is obvious that great effort and thought was put into mapping out where public EV charging stations were needed, filling in the gaps along major highways across the nation. The same can be said for most of Europe, eastern China, Japan, and Taiwan. 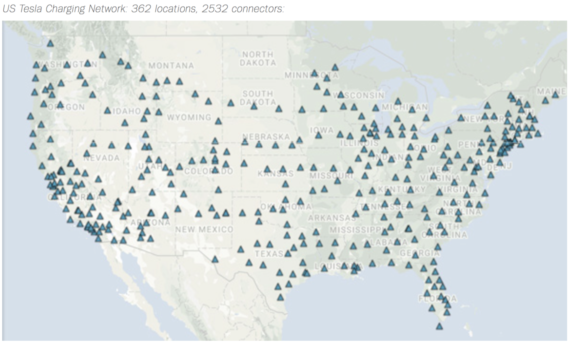 These maps look great and play well on PowerPoint presentations, but the reality of having a robust, functional network of public plug-in vehicle chargers requires a deeper dive into the details behind each pin on the map. The first and most obvious differentiator for those who have driven a plug-in vehicle and charged in public is the speed of the charger. On most public charging station maps, the stations capable of different charging speeds are differentiated with different colors. Functionally, Level 2 and Level 3 EV charging stations differ significantly in that a 6.6kW AC Level 2 charge point will take 4–5 hours to recharge a typical battery electric vehicle with 85 miles of range from empty. Scaling that up to a Level 3 50kW DC “fast charger,” the EVSE can recharge the battery from zero to 80% in around 30 minutes. When the current generation of public plug-in vehicle charging stations were first deployed, Level 2 stations were still expensive — at $2000 or more per station, not including installation costs. Level 3 stations were not even available. This backstory on public plug-in vehicle EVSE means that the majority of currently deployed public plug-in vehicle charging stations are Level 2. Most of the effort going forward is focused on deploying Level 3 EV charging stations, but they are still expensive and require significant upfront capital and legwork to install. Level 3 charging networks have now expanded to cover major routes in the US, Canada, Europe, eastern China, Japan and Taiwan, but with several large exceptions. The charging connector standards for Level 3 charging networks are fragmented regionally and globally, leaving consumers with a piecemeal version of the stations that a map might show. Compounding matters, non-Tesla DC fast charging stations today are limited to one or two connectors of each type per location. Two case studies exist today that can be looked to as examples of what future public plug-in vehicle charging station networks will look like: Tesla’s global Supercharging network and Norway, where consumers buy a higher percentage of new plug-in vehicles than anywhere else in the world — by far. Looking at Tesla info, a few numbers reveal the landscape of the current state of Tesla’s public charging network. Tesla has sold over 300,000 vehicles. It has over 1,100 Supercharging locations with over 9,000 charging connectors. What makes Tesla ideal for studying when it comes to public charging is that only Tesla vehicles can use the Tesla network. It is not necessary to determine which vehicles have which adapter or which DC fast charging station has a CHAdeMO adapter or a CCS Combo adapter. Digging into Tesla’s numbers, that’s an average of 9 charging connectors per location. Perhaps more importantly is the intentional planning approach Tesla took. It’s not just covering one region or one thoroughfare, but entire nations. 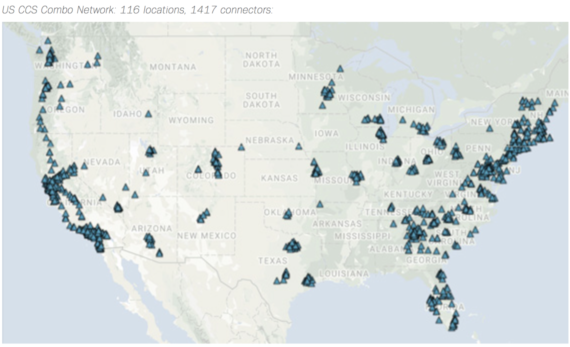 Take a look at the following maps from the US Department of Energy’s Alternative Fuel Data Center station locator to see how much that diverges from other networks. The difference is clear. Tesla planned out and built out a network of Level 3 “Supercharging” locations that are more evenly distributed, equipped with more charging connectors, and faster – at more than twice the speed of today’s Level 3 CHAdeMO and CCS Combo offerings for/from the competition. On top of that, it has more charging connectors than the competition, making it a much higher likelihood that one of the stations will be open when drivers arrive. Charging at Superchargers was originally included in a pre-payment option with the Model S and X, but the payment scheme was adjusted with the lower-cost Tesla Model 3 on the horizon and now requires users to pay for the electricity they consume at Superchargers. The highest ever market share for plug-in electric vehicle sales has been in Norway for years. In the first half of 2017, 29% of car sales in the country were plug-in car sales, with the market share in Oslo getting up to 55% in one recent month. The unprecedented ramp up of plug-in vehicle sales in the country is being driven largely by incentives from the government that make purchasing and owning plug-in vehicles more cost effective than purchasing and owning their internal combustion engine counterparts. Plug-in vehicles in Norway are also some of the cleanest on the planet, with 98% of the electricity in the country coming from hydropower, thanks to Norway’s ideal geography and winter snowpack. Battery electric vehicle sales are incentivized by hefty tax breaks, including an exemption from all non-recurring vehicle fees, including sales tax and the normal 25% VAT on the purchase. These taxes have effectively made the purchase price of battery electric vehicles comparable to equivalent internal combustion vehicles. Key takeaways from Norway, based on two surveys from Norwegian Institute for Transport Economics completed in 2013 and 2016, are that the home is where the majority of charging takes place, with 94% of Norwegian battery electric vehicle drivers charging at home and 95% of plug-in hybrid vehicle owners charging at home. Confirming this trend with a higher density of plug-in vehicle drivers affirms what studies have shown from early adopter plug-in vehicle charging behavior. Workplace charging, which will be unpacked in the next chapter, is also common amongst plug-in vehicle drivers, with 28% of Norwegian fully-electric vehicle drivers doing it at least twice per week and a full 38% utilizing workplace charging at least weekly. Norwegian plug-in vehicle drivers utilize Level 3 fast charging stations for longer road trips or as a last resort as a result of a planning failure. Norway is home to 7,632 public plug-in vehicle chargers, of which 293 are CHAdeMO and 194 are Tesla Supercharger connectors. Looking outside the home, it is clear that public plug-in vehicle chargers are necessary to support widespread adoption of plug-in vehicles and that the market is looking for a mix of public plug-in vehicle charging points around town which can be used to lure customers into businesses, fast charging points to facilitate longer trips, and chargers that act as a backup to charging at home and workplace charging. Because of the widespread availability of plug-in vehicle fuel (i.e., electricity), it is much easier to creatively solve the problem of vehicle fueling and provides an opportunity for innovators to dream up disruptive new business models amidst the transition.